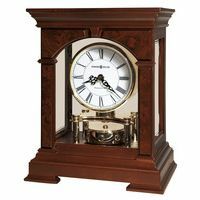 This is a Chauncey Jerome fancy cased gilt gallery clock. It is featured in the book "From Rags to Riches to Rags - The Story of Chauncey Jerome". This is truly a rare Jerome find! An almost identical clock is on page 83 of this book. It dates this clock to 1850 and describes this clock almost perfectly. 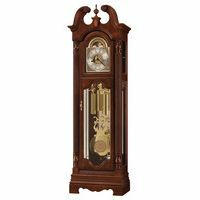 This clock has the same access to the pendulum construction that the extremely similar clock in the book has -- it is impossible to get to the pendulum without taking the dial off! [We did take off the dial/face, as you can see in the pictures below, and thoroughly cleaned and oiled the movement]. This clock, like the one pictured in the book, is truly a work of art. The gilded rope molding and the fancy relief work are all in excellent condition. There is wear, but for the age of the clock it is in great condition. You will not find one like this again often, if ever. The case is the same measurements as the one in the book -- 22 inches in diameter and a 12 inch dial. It is a pendulum eight day movement, but unsigned. The movement is a pinned movement held in place with the original wood blocks -- no other holes are in the back board. The zinc painted dial is attached, with three wood screws with no other holes present, and without question the original dial as well. Just like the clock in the book, it is unsigned. The hands are the ONLY minor problem, as the minute hand seems a bit short. It could be changed, or would look fine simply left as is. It is difficult to find gilt cases in such good shape, especially one as fancy as this one. 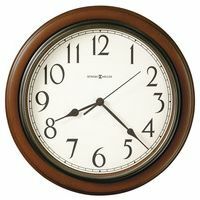 This clock is very large and truly impressive when hung on a wall. The pictures do not do this clock justice.